An analysis of digital, social, and mobile media in business communication textbooks reveals Bovée and Thill’s superb coverage far exceeds the coverage found in competing texts, which in comparison is shockingly incomplete and out of date. If you are responsible for course materials and business communication teaching resources, be sure to read the full article from ABC 6 News. create the name and concept for "Letters for Analysis"
create the name and concept for "Document Makeovers"
have a website that focuses on instruction, “Teaching Business Communication” and "Business Communication Teaching Resources"
have been recognized for their contributions to the field by the Governor of Massachusetts and the Boston Red Sox. If imitation is the sincerest form of flattery, then Bovee and Thill should be proud, because they’re the most imitated authors in the field. Their texts set the standard by which other textbooks in the field are judged. 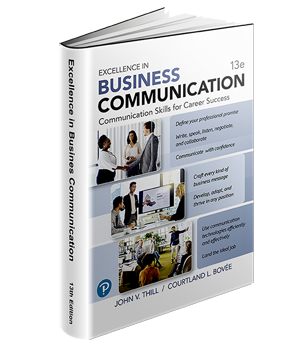 For outstanding business communication instruction, there simply are no other texts to be considered. 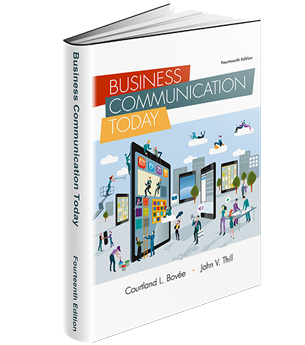 Bovee and Thill have the most extensive collection of free resources for instructors and students in the history of business communication publishing. You can see the full list at http://blog.businesscommunicationnetwork.com/resources. 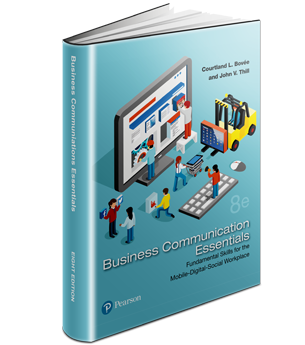 Teaching Business Communication: Which Textbook Should You Adopt?